A Las Vegas Helicopter wedding ceremony can be a spectacular display of the love you and your fiancé share for each other. 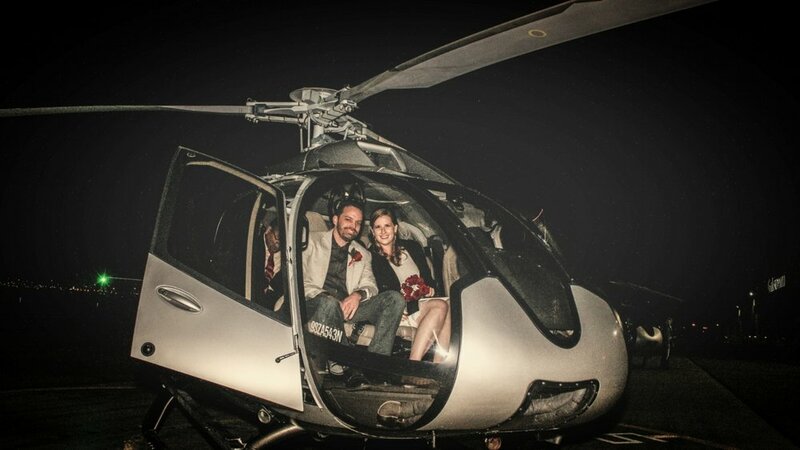 The Destination Las Vegas Helicopter Wedding is ideal for couples with a small wedding party who want the most unique and thrilling ceremony that Las Vegas has to offer. Whether you want to soar above the Strip or fly out to the Grand Canyon our packages and included amenities are sure to mesmerize and satisfy you. We began with the desire to deliver affordable and amazing helicopter weddings and ceremonies. After many years and hundreds of happy couples, our reputation for superbly executed wedding ceremonies is more than apparent within the industry and beyond.